Embassy of the Republic of Korea, Washington, DC. Non-Traditional Security Issues in North Korea, ed. (Honolulu, HI: University of Hawaii Press, 2013). North Korea in Transition: Politics, Economy, and Society (Lanham, MD: Rowman and Littlefield Publishers, 2013), co-ed. with S. Snyder. New Challenges of North Korean Foreign Policy, ed. (New York, NY: Palgrave Macmillan, 2010). Korean Security Dynamics in Transition (New York, N.Y.: Palgrave-Global Publishing at St. Martin's Press, 2001), co-ed. with D. Kim. China and North Korea: Politics of Integration and Modernization (Hong Kong: Asian Research Service), co-authored with H. Park. "Engaging North Korea with High-culture Soft Power: Knowledge Sharing with Pyongyang," co-authored with M. Bennett, Pacific Affairs, Vol. 87, No.1 (March 2014), pp. 29-41. “North Korea in Transition: Evolution or Revolution?” in Kyung-Ae Park and Scott Snyder, eds., North Korea in Transition: Politics, Economy, and Society (Lanham, MD: Rowman and Littlefield Publishers, 2013), pp. 275-293, co-authored with S. Snyder. “North Korea in Transition: Introduction,” in Kyung-Ae Park and Scott Snyder, eds., North Korea in Transition: Politics, Economy, and Society (Lanham, MD: Rowman and Littlefield Publishers, 2013), pp. vii-xvi, co-authored with S. Snyder. “The Canada-DPRK Knowledge Partnership Program,” 38 North, US-Korea Institute at SAIS, November 19, 2012, pp. 1-4. “Lessons from North Korea’s Previous Exchange Programs,” in Gi-Wook Shin and Karin J. Lee, eds., U.S.-DPRK Educational Exchanges: Assessment and Future Strategy (The Walter H. Shorenstein Asia-Pacific Research Center, Stanford University, 2011), pp. 153-160. “Economic Crisis, Women's Changing Economic Roles, and their Implications for Women's Status in North Korea,” Pacific Review, Vol. 24, No. 2 (May 2011), pp. 159-177. A different version was published as “Gender Security in North Korea,” in Kyung-Ae Park, ed., Non-Traditional Security Issues in North Korea (Honolulu, HI: University of Hawaii Press, 2013), pp. 51-74. “People’s Exit in North Korea: New Threat to Regime Stability?” Pacific Focus, Vol. 25, No. 2 (Summer 2010), pp. 257-275. A different version was published as “People’s Exit, Regime Stability, and North Korean Diplomacy,” in Kyung-Ae Park, ed., New Challenges of North Korean Foreign Policy (New York, NY: Palgrave Macmillan, 2010), pp. 53-79. “North Korean Strategies in the Asymmetric Nuclear Conflict with the U.S.,” Asian Perspective, Vol. 34, No. 1 (Spring 2010), pp. 11-47. "Regime Change in North Korea? : Economic Reform and Political Opportunity Structures," in U. Heo, T. Roehrig, and J. Seo eds., Korean Security in a Changing East Asia (New York, NY: Praeger, 2007). A revised version appeared in North Korean Review, Vol. 5, No. 1 (Spring 2009), pp. 23-45. “South Korean Women in Politics,” Korean Journal of Public Policy, Vol. 22 (Winter 2006), pp. 64-75. Also appeared in Michael Kugelman, ed., Edging Toward Full Empowerment? 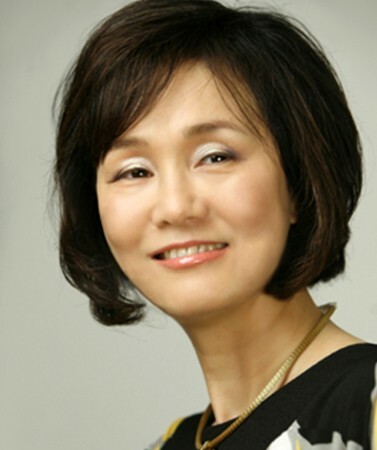 : South Korean Women in the Workplace and the Political Arena, Asian Program Special Report, No. 132, Woodrow Wilson International Center for Scholars, September 2006, pp. 20-26. "Democratic Consolidation in the ROK and Political Perspectives on the 2002 Presidential Election," with H. Lee, in Alexandre Mansourov, ed., A Turning Point: Democratic Consolidation in the Republic of Korea and Strategic Readjustment in the U.S.-ROK Alliance, (Honolulu, HI: Asia-Pacific Center for Security Studies, 2005), pp. 47-62. "North Korea: From Brisk Diplomacy to Impasse," Asian Survey, Vol. XLV, No. 1 (January/February, 2005), pp. 14-20. "North Korean Nuclear Crisis and Human Security," Korean Review of Canadian Studies, Vol. 10, 2004, pp. 17-35. "North Korea: Pendulum Swing between Crisis and Diplomacy," Asian Survey, Vol. XLIV, No. 1 (January/February, 2004), pp. 139-146. "USA Lacks Options in Crisis with Pyongyang," Jane's Intelligence Review, Vol. 15, No. 4 (April 2003), pp. 38-39, with H. Park. "The Status of Civil Society in North Korea and Its Ramifications for Inter-Korean Integration," in James Lister, ed., The Challenges of Reconciliation and Reform in Korea(Washington, D.C.: Korea Economic Institute of America, Joint U.S. – Korea Academic Studies, 2002), pp. 195-211. "Sources of North Korea's Foreign Policy Leverage toward the U.S.: The Case of the Nuclear Deal," in B. C. Koh, ed., Korea: Dynamics of Diplomacy and Unification (Claremont, CA: The Keck Center, Claremont McKenna College, 2001), pp. 35-67. "North Korea's Defensive Power and U.S.-North Korea Relations," Pacific Affairs, Vol. 73, No. 4 (Winter 2000-2001), pp. 535-553. A revised version appeared in Kyung-Ae Park and D. Kim, eds., Korean Security Dynamics in Transition (New York, N.Y.: Palgrave-Global Publishing at St. Martin's Press, 2001), pp. 83-104. "Introduction: The Korean Peninsula in Flux," Pacific Affairs, Vol. 73, No. 4 (Winter 2000-2001), pp. 499-501. "North Korea's Nongovernmental Foreign Contacts," Korean Journal of Defense Analysis, Vol. 12, No. 2 (Winter 2000), pp. 33-51. A full version was published as The Pattern of North Korea's Track-Two Foreign Contacts, North Pacific Policy Papers #5 (Vancouver: Program on Canada-Asia Policy Studies, Institute of Asian Research, University of British Columbia, 2000). "Political Representation and South Korean Women," Journal of Asian Studies, Vol. 58, No. 2 (May 1999), pp. 432-448. Reprinted in Louise Edwards and Mina Roces, eds., Women in Asia: Women and Political Power (London and NY: Routledge, 2009), pp. 271-191. "Explaining North Korea's Negotiated Cooperation with the U.S.," Asian Survey, Vol. XXXVII, No. 7 (July 1997), pp. 623-636. "Women Workers in South Korea: The Impact of Export-led Industrialization," Asian Survey, Vol. XXXV, No. 8 (August 1995), pp. 740-756. "Women and Revolution in South and North Korea," in Mary Ann Tetreault, ed., Women and Revolution in Africa, Asia, and the New World (Columbia, South Carolina: University of South Carolina Press, 1994), pp. 161-191. A different version was published as Women and Social Change in South and North Korea: Marxist and Liberal Perspectives, Women in International Development # 231 (East Lansing, MI: Office of Women in International Development, Michigan State University, 1992). "Women and Revolution in China," in Mary Ann Tetreault, ed., Women and Revolution in Africa, Asia, and the New World (Columbia, South Carolina: University of South Carolina Press, 1994), pp. 137-160. An earlier version of the article appeared in Korea and World Affairs, Vol. 14, No. 4 (Winter 1990), pp. 747-774. A different version was published as Women and Revolution in China: The Sources of Constraints on Women's Emancipation, Women in International Development # 230 (East Lansing, MI: Office of Women in International Development, Michigan State University, 1992). "T'ongilui Chongch'ijok Changae Yoin [Political Obstacles to Korean Unification]," in T'ongbuka Anbo Chongseiwa Nambukhan T'ongil Chonmang [Security of Northeast Asia and the Prospects for Korean Unification] (Seoul, Korea: Asiatic Research Center, Korea University, 1994), pp. 93-104. "Women and Development: The Case of South Korea," Comparative Politics, Vol. 25, No. 2 (January 1993), pp. 127-145. "Women and Revolution in North Korea," Pacific Affairs, Vol. 65, No. 4 (Winter 1992-1993), pp. 527-545. A different version was published as “Ideology and Women in North Korea,” in Han S. Park, ed., North Korea: Ideology, Politics, Economy (Englewood Cliffs, NJ: Prentice Hall, 1996), pp. 71- 85. "Inter-Korean Relations: Changes and Prospects," Asian Survey, Vol. XXXII, No. 5 (May 1992), pp. 429-447, co-authored with S. Lee. "Social Reform in North Korea: Prospects for Liberalization and Democratization," Korea Observer, Vol. XXII, No. 4 (Winter 1991), pp. 499-517. "Pukhan Sahoeui Pyonhwa Chonmang [Prospects for Changes in North Korean Society]," in '90nyondae Pukhanui Pyonhwawa Nambukhan Kwan'gye [Domestic Changes in North Korea and Inter-Korean Relations for the 1990s] (Seoul, Korea: National Unification Board of the Republic of Korea, 1991), pp. 83-106. "China's Korean Policy and the Role of the Korean-Chinese in Inter-Korean Relations," Korea Observer, Vol. XXII, No. 2 (Summer 1991), pp. 207-228. "Political Implications of U.S.-South Korea Trade Frictions," in Tae Hwan Kwak and Seong Hyong Lee, eds., Forty Years of Korea-U.S. Relations, 1948-1988 (Seoul, Korea: Kyung Hee University Press, 1990), pp. 17-33. "Ideology and Security: Self-Reliance in China and North Korea," in Edward Azar and C. I. Moon eds., National Security in the Third World: The Management of Internal and External Threats (England: Edward Elgar Publishing Limited, 1988), pp. 102-135, co-authored with Han Park. "Bases of Regime Legitimacy in South and North Korea," Korea Observer, Vol. XVIII, No. 3 (Autumn 1987), pp. 221-243, co-authored with Han Park. "China and Inter-Korean Relations," The Korean Journal of International Studies, Vol. 17, No. 3 (Summer 1986), pp. 23-49, co-authored with Han Park. "Strategies for Modernization in the People's Republic of China and North Korea," Asian Perspective, Vol. 9, No. 1 (Spring-Summer 1985), pp. 24-45. A revised Korean version appeared in "Hyondaehwa Chonryak: Chunggonggwaui Pikyo [Strategies for Modernization: Comparison with the PRC]," in Kyung-Ae Park, et al., Pukhan Sahoeui Kujowa Pyonhwa [Social Structure and Change in North Korea] (Seoul, Korea: Kyungnam University Press, 1987), pp. 161-186. "Political Development in the People's Republic of China and North Korea: A Comparative Assessment," in Korean Democracy in a Time of Turbulence (Seoul, Korea: The Korean Political Science Association, 1983), pp. 131-156.